Kirkwood High School’s atmosphere has been very welcoming and friendly from the start. Our preceptor, Denise Grider ATC, Head Athletic Trainer, is a great teacher and resource for us as we expand our knowledge and skills in the clinical setting. The rest of the staff and students are equally as supportive and kind. Kirkwood High School offers us the opportunity to interact with athletes from a wide variety of sports and allows us to take part in the evaluation and treatment of a wide variety of injuries, aches, and pains. There are new skills and information to be learned every day, and watching our preceptor fly through perfect tape job after tape job inspires us to rise to our highest potential and not be satisfied with our current skill set. There is no substitute for clinical experience, and we feel so fortunate to be able to learn at Kirkwood. This experience has been amazing, and we look forward to everything that we will learn in the future. 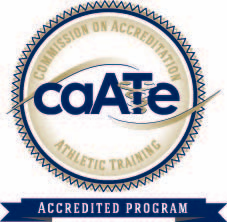 Kirkwood has made an imprint in our path to becoming certified athletic trainers, and it continues to help us reach our fullest potential everyday. 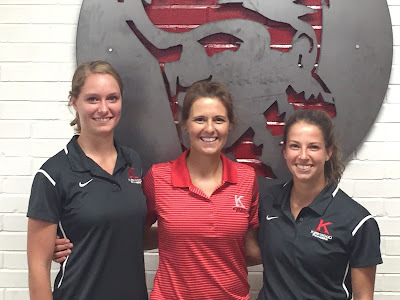 The patient athletes, kind staff, and our intelligent and devoted preceptor have shaped our experience in such a way that makes Kirkwood more than just a place for learning but also a place we enjoy going to day after day.